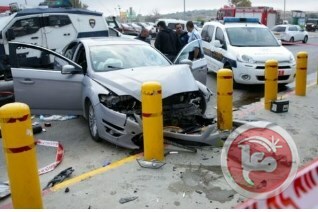 BETHLEHEM (Ma’an) — A Palestinian woman was shot and injured by Israeli forces at an intersection in the southern occupied West Bank district of Bethlehem on Wednesday afternoon after allegedly attempting to carry out a vehicular attack. 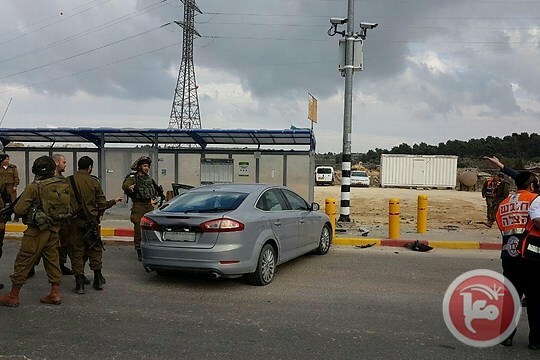 An Israeli army spokesperson told Ma’an that a Palestinian attempted to run into Israeli soldiers at a junction near the illegal Israeli settlement bloc of Gush Etzion. “Responding to the imminent threat, security forces shot and wounded the attacker,” the spokesperson said, adding that the Palestinian woman had been evacuated to an Israeli hospital for treatment. The army added that no Israelis had been injured in the incident. Palestinian Red Crescent spokeswoman told Ma’an that the organization was unable to ascertain the health condition of the Palestinian woman, as she was taken away by Israeli ambulance services before Red Crescent ambulances reached the scene. Israeli news outlet Ynet had initially reported that the woman was killed, however the report later indicated that the woman survived the shooting, but was in a critical condition. The news outlet stated that three Israelis, including a pregnant woman, suffered from “anxiety” following the events. According to Ma’an estimates, 13 Palestinians and three Israelis have been killed at the Gush Etzion junction since a wave of unrest first erupted across the occupied Palestinian territory in October 2015.